Follow along as I detail the makings of LEGACY the video game! SO – the game is still in progress, but moving along quickly! There is indeed a pre-alpha version available to staff as was mentioned in a previous post, but there are still scripts of chatter and communication direction in the works as the levels are edited. Still, it’s amazing to be part of a project and see it coalesce into a cohesive product!!! It’s an exciting time!!! But besides that, I’m exploring some concept art and perspective practice…if you wish to follow what I’m doing art-wise, my Instagram is primarily for that sort of thing: g.d.franco. Check it out if interested! Currently trying to improve with environment sketches and three-point perspective. Speaking of art and games…very soon, I will be broadcasting a Twitch series on concept art, writing and a handful of reaction Let’s Plays. Mostly art and storyboarding, though. Upon the startup, I’ll be creating content for Legacy’s universe, specifically. Again, if you are interested, keep an eye out for the channel gdfrancoart. Coming soon! Haha – lots of self-promotion in this post. But it’s an FYI, if you all are interested. No pressure! 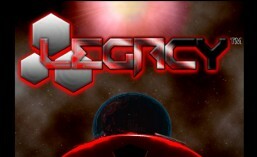 Also, a question for anyone: does anyone want to see Legacy on a particular social media platform? There is Twitter, Tumblr and Facebook already, but is anyone particularly interested in a Legacy-centric Instagram? Or even later on, a newsletter production booklet of some type? Just throwing about some more ideas. Hey everyone – Gen here! SO yesterday was very exciting for me – visited my alma mater, the College of William and Mary, to see the keynote speaker for the third annual three-day tech development bonanza: Tribehacks. Wonderfully, the keynote speaker in question was none other than Todd Howard, College of William and Mary graduate of 1993; also a top designer, director and producer working for Bethesda Softworks, specifically the Fallout and Elder Scrolls franchises. Needless to say, it was thrilling to see him present a humor-filled, educational talk about technology, games, and the development processes and preparedness goals for those trying to break into the industry. I have a video clip here of not quite ideal quality, so mea culpa on that; I did not prepare adequately…but CWM should ideally have a recorded file of the keynote in their archives. I have contacted them for the recording, and they will release it once it has been approved in its entirety. All of us were thrilled to go and see this talk; it was just a lovely event. Wish I was still eligible to register for Tribehacks, but that’s okay. Got some tips from the presentation in any case. Great games are played, not made. Game design documents are constantly changed when played at the final. Keep it simple. Simple systems acting together create complexity. Define the experience. Design the game so that it provides the experience you want people to have. And above all, to follow passions and keep learning. Know how to do a multitude of things so you have more to offer, even ideas-wise. Brainstorming was a key element to the process on which he placed high importance; he mentioned that at Bethesda Softworks he and his team often take part in one or two-week brainstorming sessions that he calls “Game Jams” in which they would just come up with ideas for elements that could be potentially included in the games being worked on, whether it be a storyline, a set of character or personality functions, environments, quests, etc., and then present it to the rest of the design staff. Just to keep their creative juices flowing, so to speak. Some questions that I didn’t manage to capture on film here included an emphasis on education that is not directly applicable to the game industry. Traditional art, writing, science, psychology, philosophy, etc. Specifically for those who may feel that they have made an off-path or unwise choice in their studies considering their intention to enter the gaming world. Howard emphasized that it all came down to what you do with those skills. That the experience and education you have is just as important as the application and not to regret it, but to use it. Just some thoughts on story development and character design. Of course, at this point, everything is fairly thought-out and nearly in its final stages for the Futuretech Flight Academy upcoming game. There’s some amazing concept/modeling/design art happening in regards to vehicles, weapons, environments…and characters! There are, basically, unlimited discussions everywhere that analyze the significance of representation in all types of entertainment media – but especially within the realm of videogames now. This is natural, as it is a massive genre that has exploded along with the advancement of technology. Videogames are so versatile, and can really be almost whatever the audience wants – whether it’s a simple game of online Scrabble to Robot Unicorn Attack, or from Skyrim and Grand Theft Auto to VR gaming. There are fitness games, self-help games, adventure puzzle games and violence/horror simulators. This is a genre approaching the vastness of film and literature. Yes, I know I’ve said this very same in a previous post some time ago. But it has only grown more true, I think. This is why it is important to appreciate their power. Videogames are now part of the Humanities. They have been for a long time. The simple fact is, they significantly influence culture; especially our culture. It is extremely important to recognize this. Depending what the overall goal/purpose of the game is, there is a measure of responsibility upon the creators and the fans. (Yes, the fans. The great and terrible forces of fanbases are not to be underestimated!) It is always important to include all types of people in all types of life. It is important to represent them in our characters that we relate to and identify with in our media; in our humanities. It is particularly important to include diverse characters within games – because we do not merely stand by and watch; we take part in them. Of course, the story may not support as much as is needed or wanted, but then questions need to be considered. We need to ask ourselves why. Is it for marketing purposes? Is it for historical accuracy? Is that version of historical accuracy accurate itself? Are stereotypes played into for a statement and/or purpose or just because that has been the status quo? Obviously, no one is perfect. And group projects always must come to a compromised result/end product – that is the nature of them. But it is our goal to always improve. This is only one area, of course. But we as humans tend to be drawn to the characters of a story, of a realm – so it makes the most sense to start with their transformation and development. Diversifying them and making them relatable both – is the key. Some Intern Thoughts and Updates! The cutscenes for the mini-game so far are written; the only thing is to perform some minor edits and whatever else is required for them to flow with the rest of the game itself. As per the process, the writing/story creation provides only one part of the whole product; the rest of it is of course the visuals, designs, animations, gameplay, and all the research and trial and error that go along with it in the background. Also as per the process, if there are any elements in the artistic or gameplay development that are later established as essential, the story may be altered so as to reconcile with such changes. It’s a continuous back and forth. BUT, the first drafts are complete. YAY! Additionally, there are plans to pursue a novelization of certain aspects of the game’s story. This is where some news comes in – readers who have kept up with our production blog and our Facebook page may know I’ve got a day job working at a museum, but now I’ve also acquired a short internship with a publishing house at the same time. This is a good way to gain experience in the publishing process, particularly a self-publishing angle where marketing and promotional work is mostly done by the author. The goal for this is to bring more skills and knowledge to the Legacy table!! Just dropping in to share more of the game progress, at least in my part of the writing area! At the moment, there are a few projects being worked on, but they pertain more to the methodical aspect than creative. At my day job, I work at a museum in a sort of open secretarial/retail-esque position. This of course, includes quite a bit of multitasking and a lot of customer service. However it further involves interpretation of substantial information, task organization and execution of solutions to problems. So…there are tons of record-keeping strategies, lots of paperwork and office thingies to do, etc. Now, I’ve been taking some online classes to educate myself more about the gaming world and specifically how one operates within a game design team, where the goal is to produce a game. This is how I’ve learned that it is essential to create a central document that describes everything about the game: how it will work, the story, the synopsis, the information sheets about anything relevant or extra to the story, the level stage designs, the movement patterns/plans, research to reference, concept art, etc. It should all be included. Technically we have all been doing that, but in more contributive sense through shared documents and information items. However, it is time for a condensed, cleaner version. This particular game is heavily story-based, so a clear point of reference is needed: like an encyclopedia of sorts. The game design document is a reference blueprint of the game itself. Hi guys! It’s Gen again! This is going to be a post of a number of things; a lot has been happening, as all of you well know – if you’ve kept up with the last couple of posts! (This one was supposed to be another February addition; mea culpa.) There are PAX East preparations (I’m so excited and a little nervous too – this will be my first convention of ANY sort. I know, I know – I’m a newbie), the upcoming pre-alpha demo that will be shown off and playable in April, and then in my area — the completion of the cutscene scripts. YAAY! To start, I just want to say a little something about this entire gaming world. For any writers out there, or aspiring writers/artists with a passion for games who don’t think their work is applicable for the gaming world, I just have to tell you: that is not true. Now, of course there are variables that should match, or match enough, like a passion for what you’re doing or a similar vision/interest as what the focus of the project is, just like there has to be a matching element in jobs with their employees. But, if you want to join the industry, there is no reason why you shouldn’t. I was lucky – I did not have much experience with games when I was first hired, but I had some knowledge, an interest in the genre and a huge passion for storytelling. I wished to find an avenue to be a part of a collaborative creative project where I could contribute my skills. And here I am! I think a large part of it all is to fully know what you can do, what you are willing to learn how to do and how you can apply those talents to what you want to do. This is oftentimes very difficult, but it is necessary work. This will make it clearer to yourself and whoever may end up assessing you. Another factor is constant application to various positions, much like job hunting, in which you can demonstrate those abilities. But these days, with games quickly growing into a massive industry that is soon to rival or actually does rival film and literature, there are many opportunities out there that must be hunted down. Just don’t give up and try not to be disheartened by rejection or refusals. Harder to do than to say, but it’s true. In the mean time, just keep learning. Keep trying to advance your knowledge, do more. And keep applying. This industry is growing constantly, incorporating tons of people with talent and skills you might not expect – you never know who may have need of you. Okay. Big lecture is over. Just some thoughts and discoveries from one of the game writers! Particularly on an interesting subject. Muahaha. In the midst of writing each story, in blending and tying everything together in one coherent mass, it was both surprising and not to realize how in-depth and how different each opposing character actually was. In theory, it’s easy to imagine the diverse aspects that have essentially built each one, such as background, personality, function, motivation, etc; but when it’s time to convey that within tight dialogue and limited cutscene material, it’s an entirely new organism, so to speak. There is an extremely brief amount of time dedicated to each; in some cases, not even a spotlight or a voyeuristic point of view. It’s painful, too – to an extent. Aside from the ultimate evil, most of these creatures are incredibly damaged, with varying levels of relatability. They reflect their environments, the needs of the beings they are in contact with, and they are ultimately a product of maligned progress, each and every one. At the risk of sounding too pretentiously deep, each personified obstacle to “good” and/or to our protagonists represents some problematic, overarching, humanist topic; either political or social or mental. Or a combo. But I suppose that’s the goal, eh? We’ll see how well they are conveyed, in any case! The ultimate judge is the audience after all, and all we can do is have fun and improve on the way!